Do you need your air conditioning repaired in Fontana, California? And fast? Or maybe your heater’s out or you need a major A/C upgrade. You can count on Design Air for fast, dependable, and affordable repairs, maintenance, and installation. With Fontana’s extremely hot summer days and cold winter nights you want your HVAC (heating, ventilating, and air conditioning) system to always be working. Whenever you need an A/C repair or service, or heater repair or service, one of our troubleshooting experts will be there promptly. Once everything’s running properly again, we suggest regular air conditioning maintenance and heater maintenance. You’ll have fewer future disruptions (and fewer future repair bills), and your equipment will last longer. 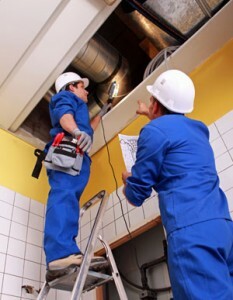 We’re also HVAC contractors for performance and energy-efficiency upgrades and new installations. Our mission is simple: year-round affordable comfort. 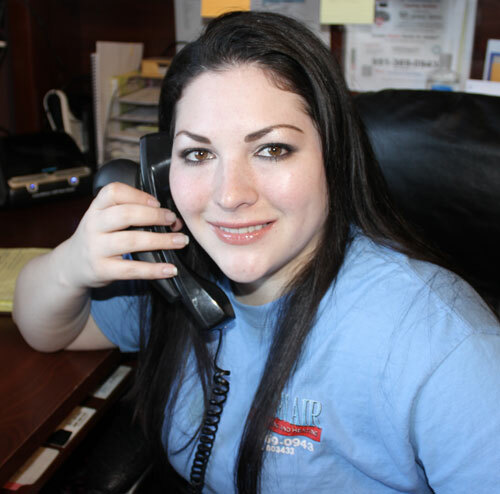 We’re family owned and operated, and have been in business some 15 years. We’re an air conditioning and heating contractor for both commercial and residential buildings. Design Air is a Top Contractor and Authorized Dealer for Rheem, and we also service and repair all major brands and install the leading-quality equipment. We hold our experienced and well-trained technicians to the highest standards of workmanship and conduct to provide you with technical excellence, dependable services, and friendly customer service. You may have heard about us before, on “Shopping with Bev” on KCAA 1050 AM as their recommended heating and air conditioning contractor. We’re also known for our competitive prices. We charge by job, not by the hour, so there’s no overtime fees and you pay for only what’s needed. Our HVAC repair services cover heating repair as well as A/C repair. With our fleet of well-stocked trucks and expert technicians deployed throughout the Inland Empire, Design Air always delivers: fast on time arrival, expert diagnosis, and efficient repairs. You’ll be greeted by a fully-qualified service technician, not a commissioned salesperson. For residential and commercial buildings we repair wall units and furnaces, air conditioning package units, split-systems, heat pumps, swamp coolers and central systems. Scheduled A/C maintenance and furnace maintenance may seem like just another expense, but have numerous benefits that can save you money in the long run. First you’ll have fewer disruptions to your home life or business operations. For many companies avoiding just a single day of downtime can pay for several years of maintenance. Plus you’ll be extending the lifetime of your equipment. With proper regular maintenance you’ll not only save a bit on utility bills due to increased efficiency, you’ll also get improved performance that can provide a little more capacity and comfort. We’ll be happy to set up a perfect residential or commercial HVAC system maintenance program for you, getting you ready for each cooling and heating season. For new construction, upgrades, and replacing older units with excessive repair and energy costs, Design Air is a leading HVAC installation contractor in and around Fontana. We’ll work with you to determine the right balance of low installation cost, expected equipment lifetime, performance, and efficiency. Our air conditioning installation experience includes package units, split systems, and central air. Our heating installation experience covers everything from wall units to heat pumps to central systems. As HVAC contractors, we’re fully qualified to tackle the whole system including coils, air handlers, ductwork, registers, grills, thermostats, and control systems. To save you energy while keeping you comfortable, our installation services also include attic insulation, whole house fans, and swamp coolers (evaporative coolers). We also have specialist installers for UV and electronic air cleaners to improve your indoor air quality. Fontana homeowners are eligible for HERO Financing to cover certain energy-efficiency improvements, including HVAC system upgrades. This program is unique in that the financing does not depend on your credit score, and you make payments as part of your property tax payment. The interest is tax deductible, and if you sell your home the financing can be transferred to the new homeowner. We would be happy to discuss this program with you so that you can afford the investment to stay comfortable while saving on your utility bills. With its 203,000 residents (2013 census estimate) makes Fontana the 20th largest city in California. The city was founded in 1913 by Azariel Blanchard Miller and remained rural until the construction of the Kaiser steel mill during WWII. Fontana is now a regional trucking hub.